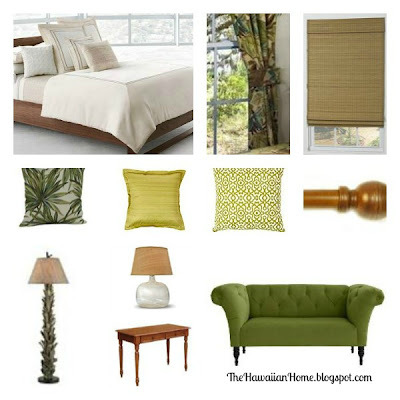 Using this Pinterest inspiration, I thought it would be fun to recreate this tropical green master bedroom. If you like this type of post, please let me know by commenting below. The products featured come from a variety of online stores. Tropical Green Master Bedroom Recreation.